(Santa Ana, California) November 6, 2018 — Professional Coin Grading Service (www.PCGS.com) has reached another major milestone with the 40 millionth coin certified for authenticity and grade. 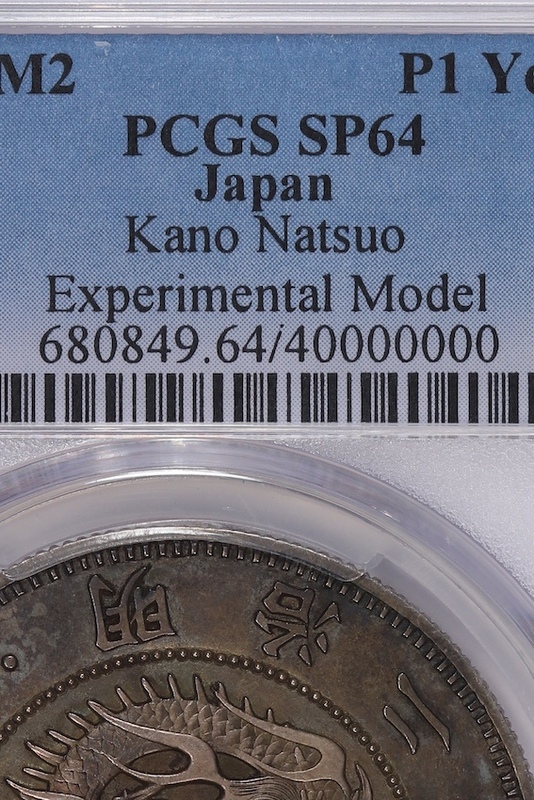 That particular coin, a Kano Natsuo 1 Yen graded PCGS SP64 and now with a distinctive certification number of 4000000 on the encapsulation insert label, is part of a five-coin set of historic 1869 (Meiji 2) experimental model Japanese coins. The set was submitted to the PCGS Hong Kong office for express service. 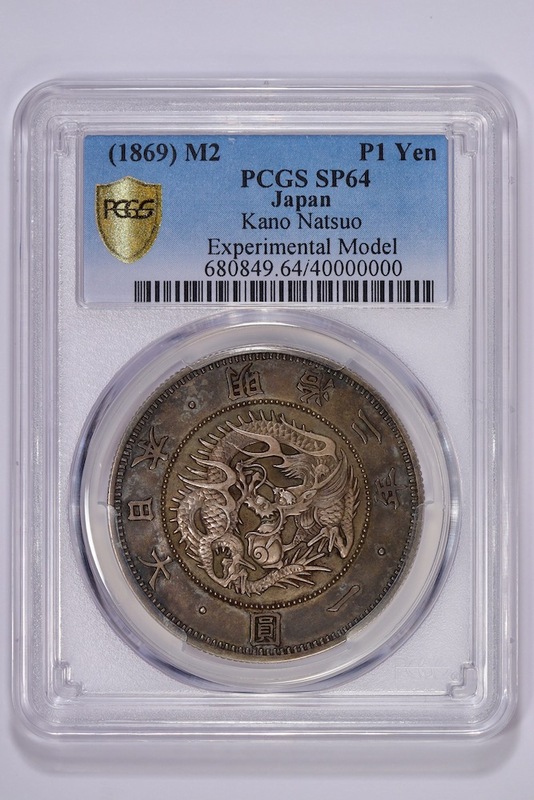 “This coin is the highest denomination in an amazingly beautiful set designed by Japanese artist Kano Natsuo (1828-1898) who was famous for engraving swords,” explained PCGS President Don Willis. “Every coin in this set was actually hand engraved, and these became the prototype for the pattern coins that were later used for regular circulation. These all grade as specimens, and are all choice gem 63 or 64. The 40 millionth coin has incredible detail and a three-dimensional design. You can see that it was hand carved. It’s an amazing piece and I’m sure it took a long time to create and was a great labor of love. We are really happy to have this as our 40 millionth coin,” Willis stated. “Reaching 40 million coins certified embodies many things. First, it represents the hard work put in by so many different people at Collectors Universe. That effort, which has spanned four decades, helped make PCGS the premier brand for grading in the coin industry. This milestone also captures the level of trust consumers have for the PCGS product,” stated Collectors Universe Chief Executive Officer and President Joe Orlando.